The premiere of 'Game Of Thrones' TOPPED the 1st week of Nielsen's LGBTQ rating report card! Read below and find out yourself..
Girija Oak roped in for Ladies Special! 'Ladies Special' coming soon only on Sony Entertainment Television! Angad talks about his career and re-entry in Waaris. Amita Khann-Ankit Bhatia's Still About Section 377 to Go On Air on Another Platform! Telly Buzz, an India-Forums venture, brings the latest news from the Indian Television Industry under one roof. 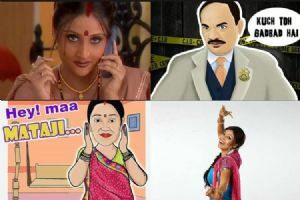 From the latest Indian Television News to TV Celebrity News and TV Gossip, Telly Buzz truly connects viewers with Indian Television. Our network of reporters along with our dedicated development team members cover the ins and outs of the indian television industry and garner all the latest tv news, gossip, tv show reviews, and highlights happening on and behind the silver screen.